John L Worley Jr. is a well known jazz musician, trumpeter and teacher in the San Francisco Bay Area. 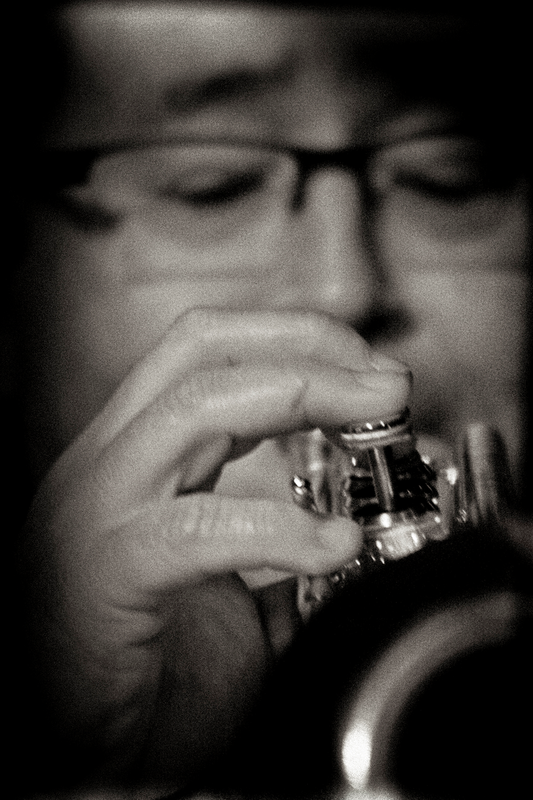 His love for jazz and in particular, the trumpet, permeates his work and life. John has played in many of the San Francisco Bay Area's creative music ensembles, as well as on over 70 recordings and videos. ​Being adept at a multitude of styles, John has played with and backed up national and international artists in North America, Europe, and Central America such as Mel Torme, Ella Fitzgerald, Don Byron, Wayne Shorter with the Monterey Jazz Festival Chamber Orchestra, the Carla Bley and Steve Swallow Big Band, Wayne Wallace, Jon Jang, the Asian American Orchestra, Dave Pell Octet, Pete and Sheila Escovedo, Malo, and Lila Downs. WorlView, Bari Bari, and the Mo-Chi Quartet have participated in several music series and festivals, including the San Jose Jazz Summerfest and Winterfest, Monterey Jazz Festival, Jazz Project in Bellingham, WA, SF Jazz “Hotplate” and "Clock Tower" series, Stanford Jazz Festival, Kuumbwa Jazz Center, Pacifica Performances series, the “Jazz Katsu” fundraiser for tsunami aid in Japan, Yoshi’s Night Club, Intersection For The Arts, and the Sonoma Jazz Festival. John is a member of the music faculty at: Stanford University in Stanford, CA; Hope St. Music Studios in Mountain View, CA; and a faculty member of the San Jose Summer Jazz Camp. He is a member of San Jose Jazz, BMI, American Federation of Musicians Local 6 and the International Trumpet Guild. In 2013, John was included in David Hickman’s book, Trumpet Greats, a biography of 2,200 trumpet players from the year 1600 to the present. WorlView, John's debut CD, was released in 2003 on his label, Dancing Sumo Records. He also produced jazz guitarist Sebastien Lanson's debut recording, In Transition, on Dancing Sumo Records in 2004. John is a Yamaha Performing Artist and plays Yamaha YTR9335NYS and YTR8340EM trumpets and YFL8315GS flugelhorn.